Mark graduated from Northwestern University (Evanston, Illinois) in 1974 with a B.A. in History. He then attended the University of California, Hastings College of the Law (San Francisco, California) where he was the Articles Editor of Hastings Communications and Entertainment Law Journal, and graduated in 1977 with a Juris Doctor degree. 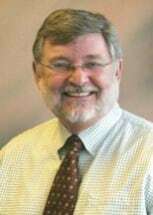 Mark was an instructor at the University of Puget Sound, School of Law (now Seattle University School of Law) from 1977 to 1979 before entering private practice in Seattle. He is admitted to practice in California as well as Washington. He is also admitted to practice before the United States District Courts for the Eastern District of California (1977), the Northern District of California (1980) and the Western District of Washington (1979). Mark is a member of the Washington State Trial Lawyers Association, the Family Law Section and the Litigation Section of the Washington State Bar Association, the King County Bar Association and the Snohomish County Bar Association. He has substantial experience in complex family law litigation, including marital separation and dissolution, committed intimate relationships, domestic partnerships, contested custody, parenting disputes and related matters. Mark is a panel member and mediator in the King County Superior Court Family Law Settlement Conference Program. Additionally, he has served as a court appointed Guardian ad Litem, and as a Court Appointed Special Advocate (CASA) representative for minor children in a variety of dissolution and parentage cases. Mark also represents as number of small businesses and family partnerships in a variety of corporate and business matters. He has represented clients in numerous civil litigation matters in trial courts, administrative hearings, arbitrations and mediations. Mark is also on the panel of approved Arbitrators appointed by the King County Superior Court. Mark is married with three children and two grandchildren. He and his wife have resided in the Queen Anne neighborhood of Seattle for almost 40 years. Some of Mark’s community activities have included memberships on the Queen Anne Community Council, the Queen Anne Lutheran Church Council, the Hilltop School Board of Directors (Chair), Bishop Blanchet High School Parent Club (Fund-raising Chair) and the O’Dea High School Father’s Club (President). Mark has been active in youth baseball (ages 7-18) in Western Washington for over 30 years, having served as a coach, administrator, and board member in a variety of local and regional organizations. He continues his service as a baseball umpire at several levels of play.